I was very lucky to get a referral to you guys as my real estate agent when I tried to sell my house in Gold River last November. As you know, I have been living in San Francisco for 25 years except the 3 year period in Gold River. My problem was that I didn't know much about the Sacramento area and I was so ignorant of navigating the housing market. I needed somebody who I could trust and guide me through this unknown territory. Here you guys were such a godsend to me. You discussed with me how to market my house, what should be done in the house with the minimum expenses for the maximum result. You arranged all the necessary repairs on my behalf, made sure that the jobs were done to your high standards, and followed up with every little details about the house. I didn't have to deal with anything about the house except the payments. It was such a big help to me because I live in San Francisco and didn't have to drive for 2 hours to Gold River every time something happened. Your professionalism and generosity with your advice was so refreshing because my previous experience with the real estate agents were not like this. My house is sold in such a short time!!! But most of all , I am so grateful to you for such a painless experience. 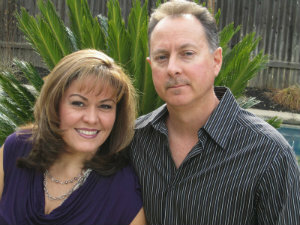 "Gary and Melissa helped me buy my house and then sell it when I had to move. You can't find a better realtor. They take care of everything. Gary even does small handyman projects! They listen to what you want and don't waste your time looking at houses you can't afford or that don't fit what you need. I bought the 2nd house they showed me. When it was time to sell, they were just as efficient. I believe they got me the most I could get for the house and in good time. To sum up -they are the best and I would recommend them to everyone whether buying or selling." Lana G.